Two weekly newspaper offices are set to be closed by a regional publisher leading to the relocation of nine journalists and the loss of reception and advertising roles. Trinity Mirror has announced it will shut the offices of the Caernarfon & Denbigh Herald, as well as the Runcorn and Widnes Weekly News, at the end of June. Journalists from the Herald will in future be based at the offices of the North Wales Daily Post in Llandudno Junction while Weekly News staff will be based at the Liverpool Echo. The company has not revealed the number of staff affected, but has confirmed reception staff in Widnes and advertising staff in Caernarfon are at risk of redundancy. The Eastgate Street, Caernarfon offices currently house district staff working for the Daily Post, the Caernarfon & Denbigh Herald and Bangor and Holyhead Mails and Yr Herald Cymraeg. 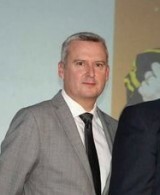 The announcement was made to staff on Friday by Carl Wood, above, managing director of Trinity Mirror North West, in an email which has been seen by HTFP. He wrote: “As you know, throughout Trinity Mirror we are continually seeking efficiencies based on better use of technology This is part of a strategy to invest in advertising and editorial, rather than bricks and mortar, where possible. “The strategy also reflects a wish for staff to be out and about meeting people in our communities rather than being desk-bound. The technology we have now facilitates this. “Sadly, the closure of these office means our colleagues on reception in Widnes and in private advertising in Caernarfon are at risk of redundancy and we have today entered a 30-day period of consultation with them. Trinity Mirror North West editor-in-chief Alastair Machray said in a company statement: “These are two very important parts of our portfolio and we remain absolutely committed to the areas and to our brands there. “While these are well-established offices, I would much rather be investing in our journalists, rather than in traditional and out-moded office space. However the National Union of Journalists has expressed “deep concern” about the proposal to close the Caernarfon office and is to organise a protest rally against the move on Saturday 11 April. Paul Scott, chair of the union’s North Wales branch and National Executive Council member for Wales said: “Caernarfon is the county town of Gwynedd, has a magistrates and crown court and is home to the headquarters and debating chamber of the local authority as well as the North West Wales coroner. “To withdraw from Caernarfon is to withdraw from the principle of localism itself and Trinity Mirror’s decision to close its office suggests a dwindling commitment to local media and bodes poorly as far as the future of its regional news operations is concerned. “We are seeking to resist this closure in order to maintain a meaningful journalistic presence in Caernarfon. Paul said journalists working at the existing office had been they will be required to either work from home or relocate to Llandudno Junction. “These are two very important parts of our portfolio and we remain absolutely committed to the areas and to our brands there.” Er, am I missing something here? How absolute is “absolutely”? Ab absolute tragedy to see the Widnes office close having worked there for five years and enjoyed the happiest time of my working life. Up until fairly recently the Widnes edition enjoyed year-on-year sales rises, almost unprecedented in the industry, while the Runcorn edition suffered only negligible losses. Both the newspapers and the staff were up for awards on an almost yearly basis, and the advertising staff were considered among the best and most experienced in the company, also often winning company awards for their performance. The newspaper itself was one of the most profitable and best performing in TM’s weekly portfolio, despite losing its group editor, editor, sports editor, photographer and having its price hiked from 65p to 95p in only a couple of years. It’s a genuine shame to hear the building being described as ‘bricks and mortar’, as it’s not that – it’s genuinely one of the centres of the community there. People would drop in to chew the fat, and that’s often how you’d pick up good stories and even pictures. The remaining staff there are brilliant at what they do and do genuinely care about their patch, so that’s one saving grace, but it really is a sad day. Special mention for the reception staff too, they know the town inside and out and were a great link between the reporters, many of whom – like me – often started without knowing that patch that well, and the public. They were the trusted and friendly face of the weekly news for years. Terrible shame. Mark Smith: toughen up, laddie, these people are unacceptable cost centres on TM spreadsheets. Don’t you know the MD has a bonus to be paid? Shareholders remunerated? “Trusted and friendly faces” are old hat, old chum. I work outside journalism now and it seems to be everywhere. For example, despite making our first profit in ten years we’ve just laid off 150 staff. Japanese firms make 50 year business plans, in Britain they don’t seem to extend beyond April 5. I don’t know how anyone can work for a big company these days and not think Adam Smith was smoking crack. Carl Wood sounds like a dynamic, go-ahead sort of charp. But I’m surprised he held back from describing it as “an exciting development”. Digger: Charp’s better I think. All the companies seem be copying each other. No way can closing town offices be positive, or loss of reception staff. Spare us the bull, bosses. Accountants rule. One imagines a lot of these ‘strategies’ – from whichever newspaper/media company, were probably not drawn up, discussed and agreed upon in a booth at Costa Coffee, the initial concept was probably not discussed while these managers and executives were ‘out and about’ meeting people (ie their readers and advertisers), and it is unlikely they will be the victims of the policies once implemented. If senior managers deem it fit to close offices to save money, so be it. After all the newspaper industry is in a hell of crisis, still. But they should not insult the intelligence of staff by dressing it up as a positive move. You are either a local paper with local reporters or not. Should not confuse efficiency drive with “economy drive”. Efficiency means something works.Closing local offices makes news coverage LESS efficient even if it is more economical. This all seems to be part of the 3 G policies of Trinity Mirror being rolled out willy nilly and we,the NUJ, are trying to deal with it simply as the next move (closing offices and posts) takes place ,,, we need to look towards some strategy that gets us prepared to deal with the situation as a whole, the meetng of members in newspapers meeting in Birmingham on April ??? is an ideal opportunity to make a start on this.